I received a huge amount of new items this week after finally getting around to shipping my event purchases from May back to the UK. 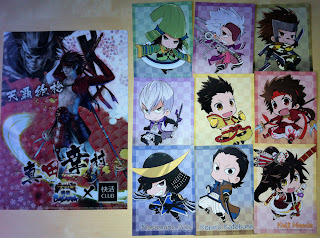 I've chosen the most innocuous picture first of all: my final order from the soon-to-be-closed Sengoku Basara fan club shop, Basaraya. 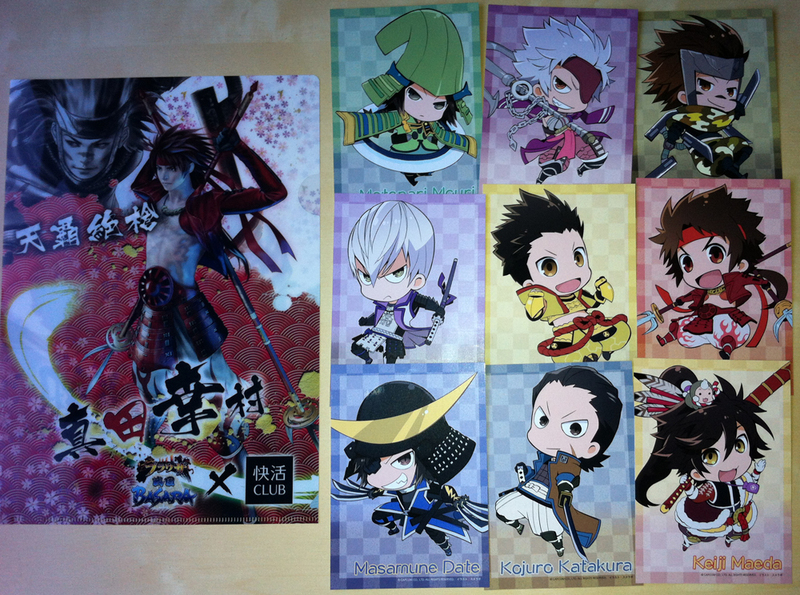 I bought two sets of the Mame Sengoku Basara postcards and received a free clear file as a bonus (unfortunately, it's a duplicate of one I already had). The postcards are wonderful. Keiji looks the cutest so I'll probably pin him above my desk.